The Pinedo Team Specializes in Residential Real Estates Sales. 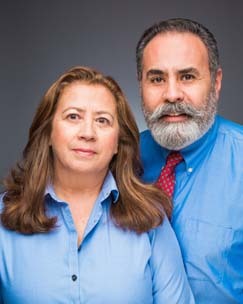 Joe and Teresa Pinedo are Licensed Brokers with Caldwell Banker Bain Associates in Kirkland Washington, USA. The Pinedo Team provides Professional Residential Real Estate Services to Sellers and Buyers in the Greater Seattle/East Side area. Service Areas Include: Kirkland, Bellevue, Redmond, Woodinville, Bothell, Kenmore and extended areas in the Seattle/Greater East Side area in Washington State, USA. The current Real Estate market in The Greater Seattle WA area has been moving fast because of a shortage of homes for sale. If you are ready to sell your current house please give us a call to find out how to strategies and navigate this Real Estate Market. Tour our recent sales history on our Featured Properties page and follow the City Links to see our dedicated web page marketing presentations. The Pinedo Team ~ Building Neighborhoods! pinedohomes.com - This site maintained by "The Pinedo Team" - All rights reserved.